Jeju is strategically well located at the northeast Asian cruise route accessible to the major cruise ports in China and Japan within a night or so. 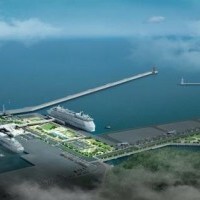 Jeju Port is currently the only port cruises can call in, however, Jeju is building a new cruise port in the southern part of the island which aims to be the most modern cruise terminal facility in the region. In the early 2016, the new port, civilian-military complex port will open to public and be able to accommodate two 150,000 tons ships at the same time. 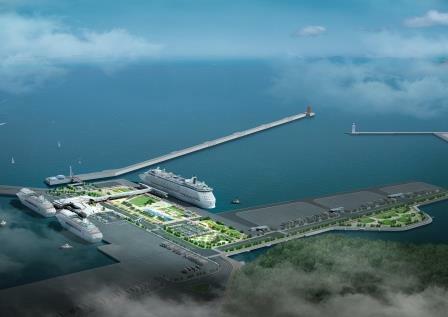 By 2015, Jeju will have two cruise ports and terminals in the north and the south of the island, where you can find a lot of tourist attractions as well as shopping places. Jeju foresees that the number of cruise calls and visitors will soar by up to 5 cruise ships with more than 10 thousand visitors a day by international cruise ships. Designated as UNESCO Natural Heritage, Biosphere Reserves, Global Geoparks and World New7Wonders of Nature, Jeju boasts its natural beauty and unique island culture which satisfy cruisers from all around the world allowing them to have new and diverse experiences on the island.